So you’ve been diligently doing your research in order to come up with the best Search Engine Optimization (SEO) techniques that will allow your site to reach that all-important first page of Google. Great! SEO is definitely one of the best ways to get your site noticed and now that you’ve gotten the hang of it you are able to use your skills and talents to bring in those all-important customers to your website. Guess what? It’s now time to get ready to start learning how to use some Social Media Optimization (SMO) techniques! Recent surveys tell us that 50% of small businesses are currently utilizing Social Networks for marketing purposes. A pretty big leap from 2 years ago when 20% of small businesses were estimated to be using the many, various advantages that Social Media can offer. Social Media refers to using one or more of the many online platforms currently available that were solely created for the purpose of bringing like people together in order to share common interests. Social Media Optimization refers to the ability to use a variety of Social Media Sites with a purpose to produce lots of publicity about a particular company/brand/product/event that you want to let people know about. This includes utilizing social media/video/blogging sites, social news, as well as RSS feeds. 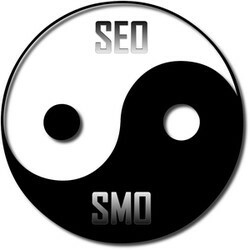 The purpose for using SMO is the same as for using SEO – to generate more traffic to your particular website. Ask yourself the following questions that can help you determine if you’re SMO ready. -What are your exact goals? -What exactly are you trying to promote? -What type of media platform works best for what you are trying to achieve? -Are you ready to start tracking any progress in order to measure any successes? How to Measure Success. Measuring success of your Social Media Optimization can be a bit tricky as it’s not always quantitative. You can build your brand awareness, perception of your company, and create happy customers without getting any more clicks to your site. A good measure of success can be the number of genuine interactions that you have with customers and potential customers as well as the number of visitors referred to your website from the social media site. Although there can be many benefits derived from using SMO, one of the most beneficial is the ability to connect directly with your customer base. Instead of having to solely rely on the traditional methods of reaching out to customers – paid advertising, promotions, referrals – businesses that are involved with SMO are able to look for, find, and directly connect with potential consumers. There are many various websites available that can help determine how productive a particular site currently is while making suggestions for improvement. Be sure to check out our Social Media Tips! I’m surprised the jump over the last two years has only been 20% to 35%. Anecdotally, it seems far greater. I’ve updated this. I think the 35% was last year’s usage. Numbers I’ve found now have about 50% of small businesses using social media, which still seems a little small but consider that it’s small businesses. There’s still a lot of mom and pop shops that don’t have a website.